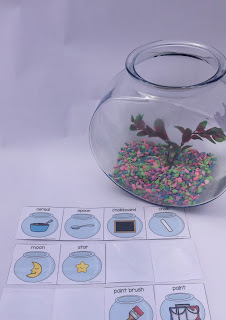 I have many students who really need picture cues when working on vocabulary and semantic skills. I like to incorporate these picture whenever I can, especially with categorization. 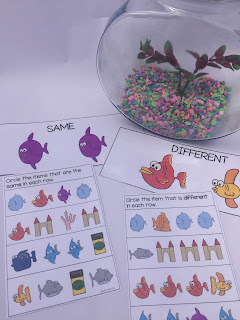 I loved these cute fish graphics that I purchased, and, Semantic Fishbowl was born! Semantic Fishbowl is a collection of four activities that focus on naming categories, what doesn't belong, associations, and the basic concepts of same/different. Students pick a card and determine which picture does not belong in the group. The students can keep the card if they get the answer correct. There is also an opportunity to earn a BONUS card by telling why it does not belong. The student with the most cards at the end wins. Students are give a fishbowl mat. They then pick a card and the clues are read to them. The students then decide which category the three items belong to. If they are correct, they get to put their fish on the fishbowl mat. I have also used an empty fishbowl for this. My students love putting their "fish" into the fishbowl. This is just a simple memory game that has 12 pairs of "go together" cards. 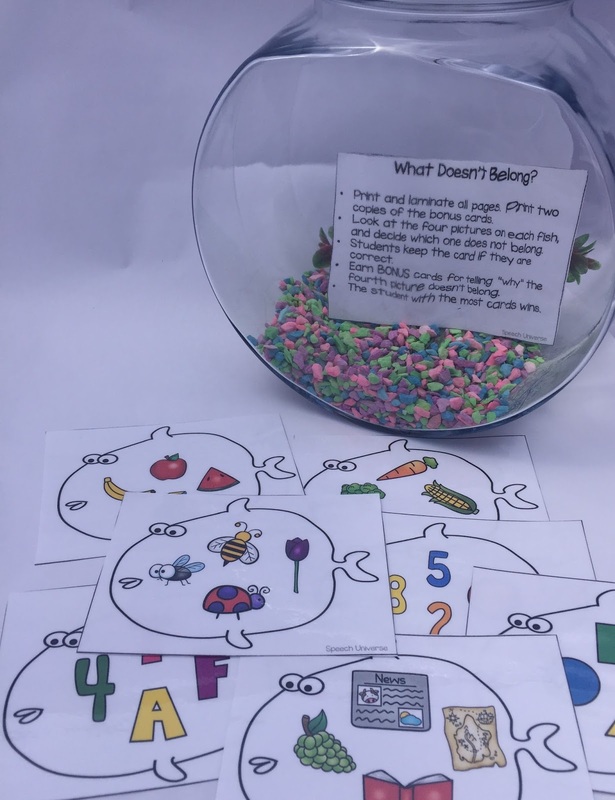 This is a set of eight worksheets that focus on the basic concepts of same/different. 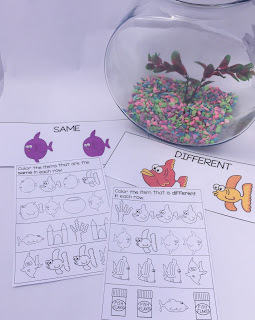 There are four worksheets that focus on same and four worksheets that focus on different. I laminated the color pages and have my students use dry erase markers to circle the answers. The black and white copies are great to use in a session or to send home for extra practice. 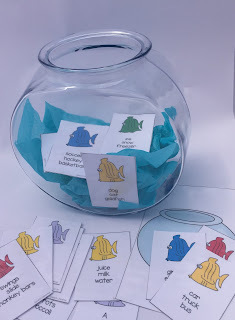 Click HERE to find Semantic Fishbowl on Teachers Pay Teachers.